Have you grown up dreaming of blasting into space aboard a Soyuz spacecraft? Do you obsessively follow the progress of Boeing’s Starliner and SpaceX’s Dragon capsules and picture yourself going to Mars in them? Do you spend a significant chunk of your paycheck on space-themed items? If you answered yes to any of those questions, then keep reading. One of the major challenges facing space travelers today is keeping their bodies in shape in microgravity, which tends to cause muscles to decay and bones to lose density, making the return to Earth’s gravity painful. While living on the International Space Station, astronauts spend two hours each day exercising to keep themselves healthy. In that spirit, Tim Peake of ESA plans to become the second astronaut to complete a marathon in space when he uses the COLBERT to participate in the London Marathon on April 24.
.@LondonMarathon only 10 miles on the treadmill but I ran for 26000 miles around the planet…does that count? Even if you weren’t one of the more than 18,000 applicants to NASA’s next astronaut class, staying healthy has been proven to lift your mood, lower the risk of certain cancers, and prolong life. 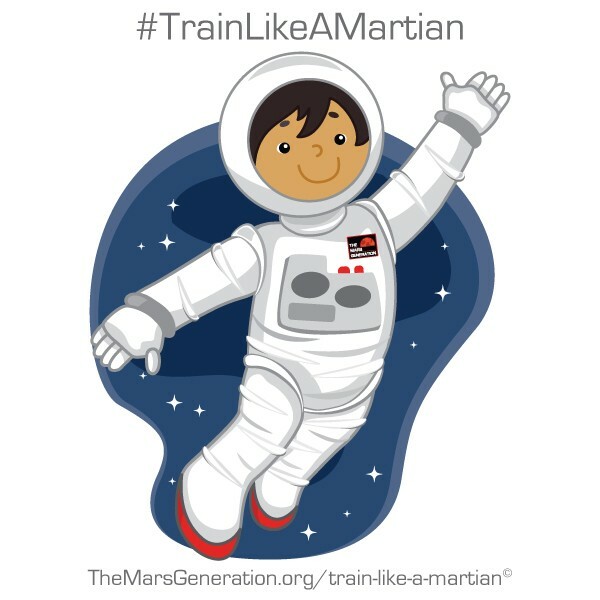 Whether you’re competing with coworkers for steps, getting back into a fitness plan, or looking to do something different, The Mars Generation’s Train Like a Martian (TLM) event is a great way to have fun while promoting space. Sign up for the event as an individual or bring together a group and follow along each day with our chosen TLM activities as we post them. You can log your activity on our Google spreadsheet (this is public, so please use only your first name and last initial) and see how people around the world stack up against you. 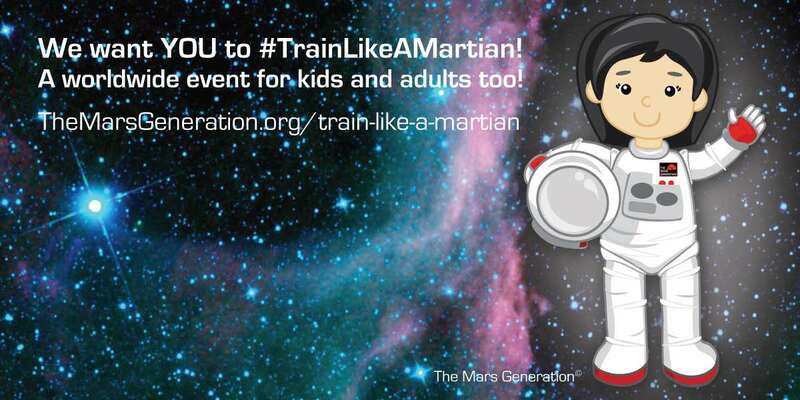 Share photos and use the #TrainLikeAMartian hashtag to tell others about the event. You can do as few or as many of the activities each day as you want. Get into the challenge and feel the burn! Don’t want to commit to participating each day? You can still join the ground support crew to get updates, share the event on your social media channels, and cheer us on the week of the event. Help support our programs including the Student Space Ambassadors and the Space Camp Scholarship. You can also sign up as a team with friends and fundraise together. There will be prizes for the top individual fundraiser and the top team fundraiser. Sign up here to stay in the loop. It’s fun and easy to plan and host a local Train Like a Martian event. Get your friends, neighbors and community out for this fun activity here’s a simple how to guide. Are you a student or a teacher? You can get your school involved too! Host a field day, rocket run, fitness carnival or anything else you can think of that excites both kids and adults to exercise and have fun. These are easy challenges that can be done on the playground, gymnasium, in the hallway or even in the classroom. Get your class or even your whole school involved! Express your creativity and love of space through your school newsletters and social media challenges and encourage families to participate at home after school. Challenge classrooms, schools or the district to participate each day and see who gets the most exercise recorded. We hope you join us for this exciting event! To show your stuff or submit your own ideas about getting in shape, use the hashtag #TrainLikeAMartian. Here’s to a healthier life and more ways to advocate for space exploration! You can qualify to win prizes now – click here to find out how! Sign up here to receive Train Like A Martian updates! 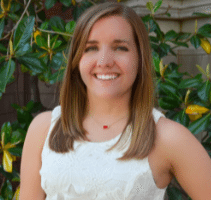 Becca Browder is a blog editor and writer at The Mars Generation. She earned her Bachelor of Science in mechanical engineering from the University of Oklahoma and works as a space policy intern in DC at the Commercial Spaceflight Federation.